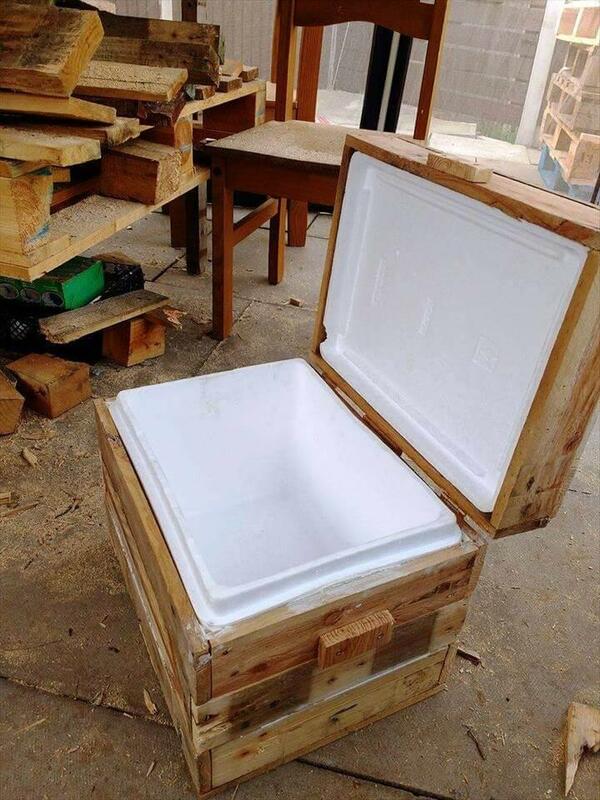 It is often a problem to keep your drinks cold longer at outdoor due to unavailability of fridges and refrigerators there! The solution lies in properties of wood which is always a bad conductor of heat and electric current so can help you to retain coldness longer at outdoor! 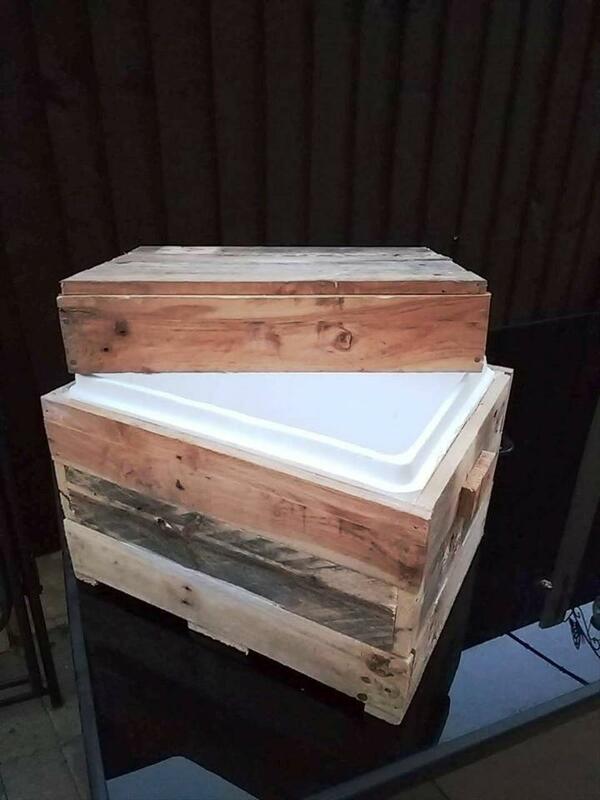 By availing zero conductance of wood, this beautiful DIY pallet drink box / Chest has been made that is having a plastic box inside, so now it will not be a problem to enjoy cold beverage at your favorite outdoor picnic place! The cooler can store multiple drink cans inside and can be filled with ice cubes while carrying it for outdoor party nights! Due to having mini dimensions it will be all easy to carry with! 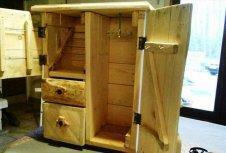 For easy handling, you can add some handles to it, reclaimed drawer pulls can also be used! Using some paint, custom tags and metal symbols you can create a stimulating and personal look of it also! 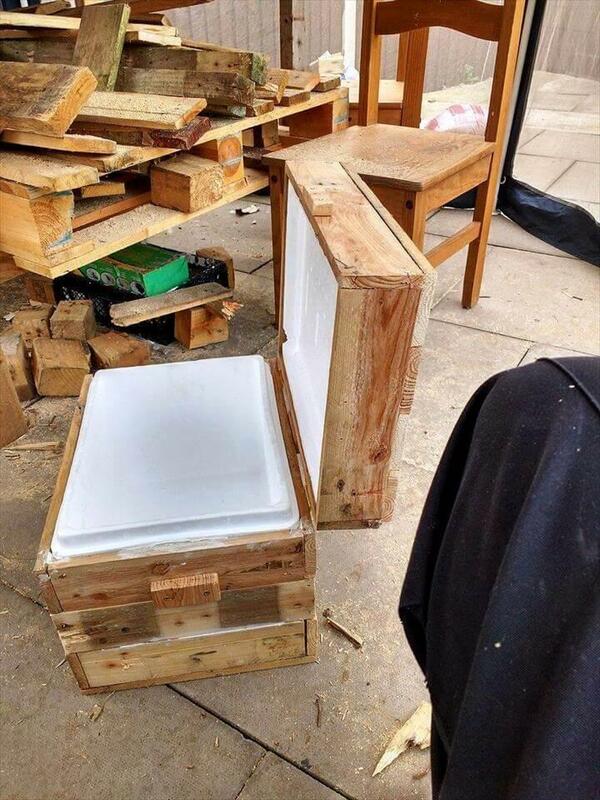 Here actually a robust wooden housing which is air-tight too, has been made for a plastic drink box, will help to retain coldness longer! 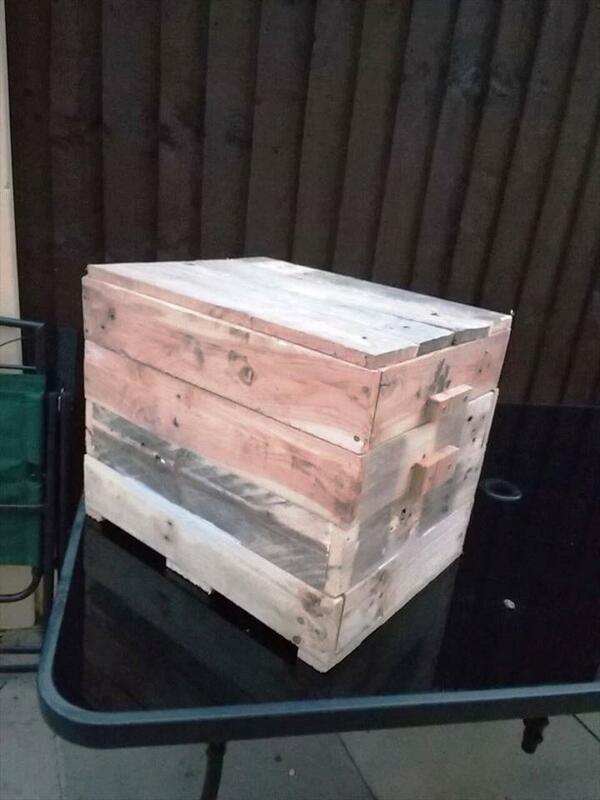 Plan slats of pallets to build a wooden box for lower of the plastic box and a wooden lid also to hold the plastic box lid precisely! Here lid should sit precisely over the lower box, after you make sure of it, simple install the lid using metal hinges! Here small metal hinges have been used that has been secured in place using heavy duty screws! 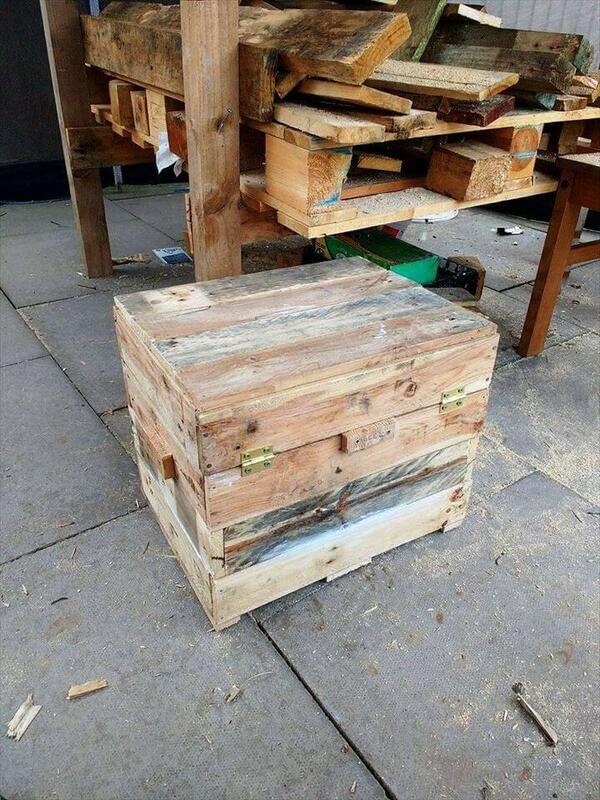 Spare wood has been used to provide mini handles to this pallet-made wood box, glue will be a great solutions to fill up the tiny and narrow spaces you need to make air-tight!